100% llama wool (Yarn count Nm 24/2), Fabric and garment made in Bolivia. Back length = 86 cm. 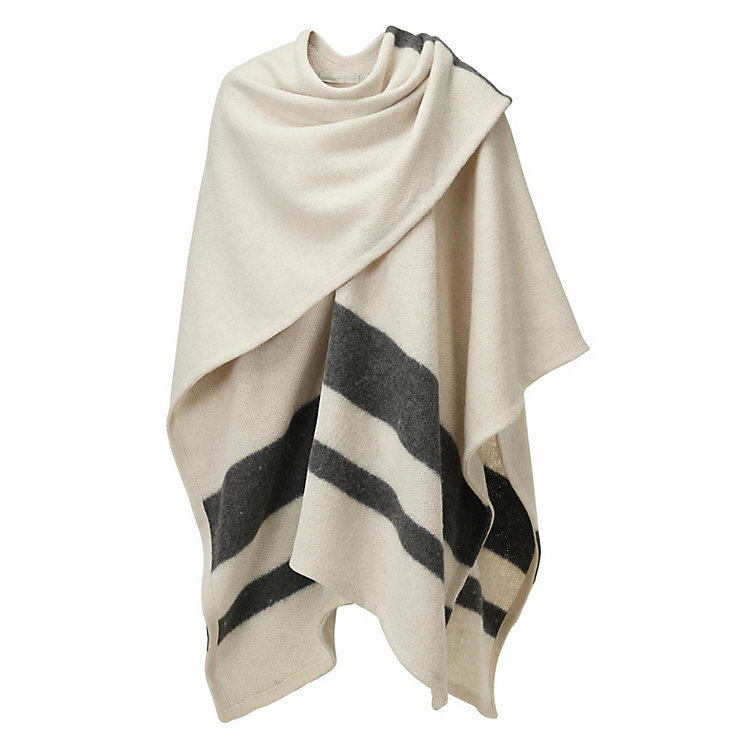 A Throw-On Poncho with Stripes. This open front poncho is knit from high-quality llama wool from Bolivia. The edges of the garment are hand finished with knitted ribbon. Two block stripes in different widths run over the lower half of the poncho.